Run4Poverty was created for endurance athletes who have a desire to push their physical limits and raise awareness and funds for sustainable change. 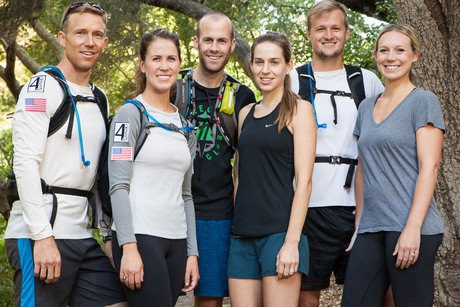 We are so excited that this leg of Run4Poverty will be a team event! Deyl and Vanessa will continue their Run4Poverty with a 50 mile race and four new team members will be joining, each running their first 50 kilometer race! The race is called the Leona Divide, which runs along the Pacific Crest trail in Southern California. This team event will be specifically focused on raising funds for people in the Philippines as they continue to rebuild their lives, businesses and homes from the devastating typhoon last year. Microfinance loans transform lives and we are dedicated to directing all funds raised to this purpose, in partnership with Opportunity International. See the total impact of Run4Poverty. Currently, one-third of the population of the Philippines lives under the poverty line and 60% are employed in the informal economy, running small businesses which are not recognized by the government. By contributing to this initiative, you are helping to expand access to financial services so that more people in the Philippines will be able to have access to loans, training, savings, and innovative insurance covering life, property and even typhoon damage. With your support, we can empower people to work their way out of chronic poverty, transforming their lives, their children's futures and their communities.